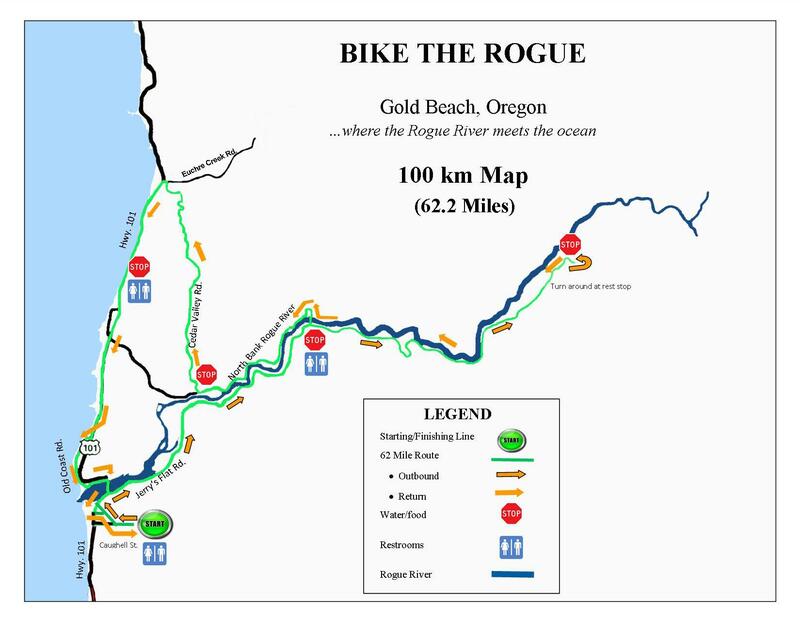 All four Bike the Rogue routes follow the banks of the Rogue River in this spectacularly scenic and remote southwestern corner of Oregon…where the Rogue River meets the ocean. 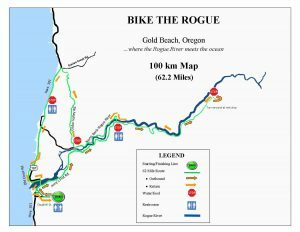 The Century, Metric Century, and 40 mile rides include 7 miles along the Pacific Ocean with panoramic views of beaches, sea stacks, and rugged coastline. 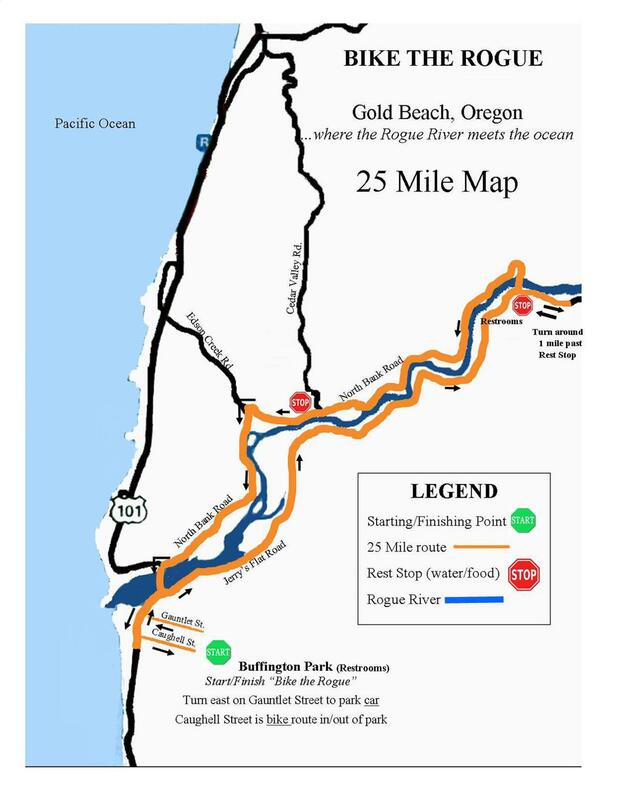 All four rides start and finish at Buffington Park in Gold Beach, with well stocked rest stations at the start of the event and every 7-15 miles along the route. A Sag wagon, provided by South Coast Bicycles, will be stocked with spare parts and a mechanic for assistance with any problems you may encounter. For those who wish to explore the Century route with Google Earth click the link. 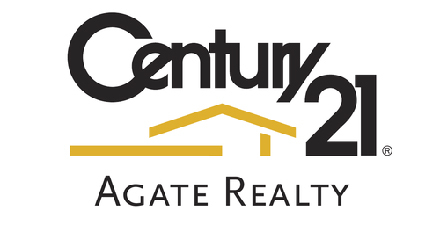 Registration: To register, download the application and waiver forms, complete, sign, and include your payment by check to Gold Beach Rotary. 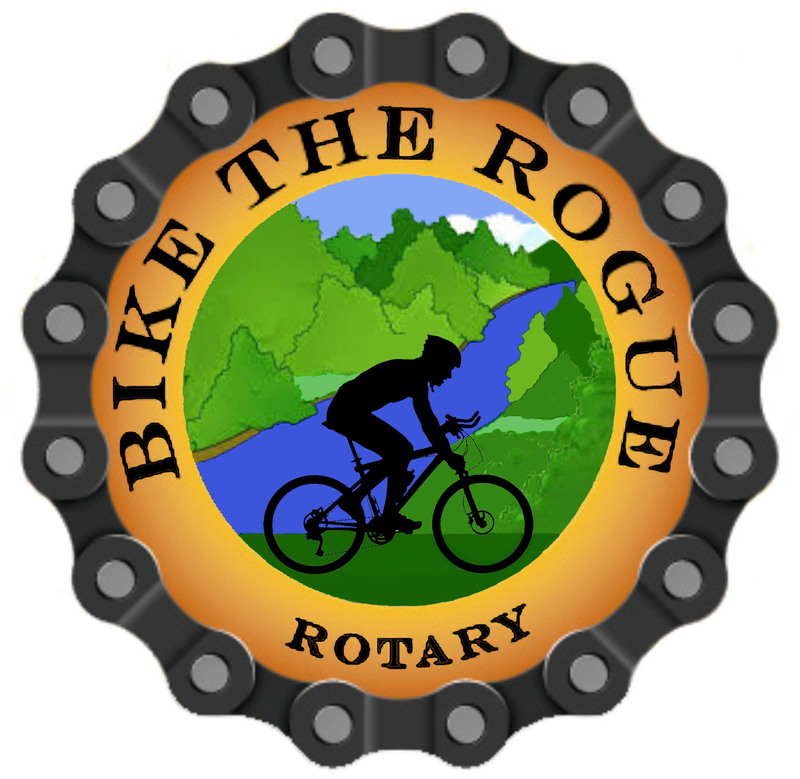 Mail your registration form and waiver to Gold Beach Rotary, PO Box 1289, Gold Beach OR 97444. Early Bird Special: A five dollar reduction in fees (per person) is available to anyone pre-registering with postmark before September 1st. The first 50 riders to register will receive a CO2 tire inflator and cartridge. REGISTER NOW! Beer Garden: Each registered rider receives a voucher for a glass of Arch Rock Beer (if 21) or a soft drink, and a wood fired pizza at the end of the ride. Both Arch Rock and Wandering Pizzailoi will have concessions at the event. You may also sign up and register at the event. 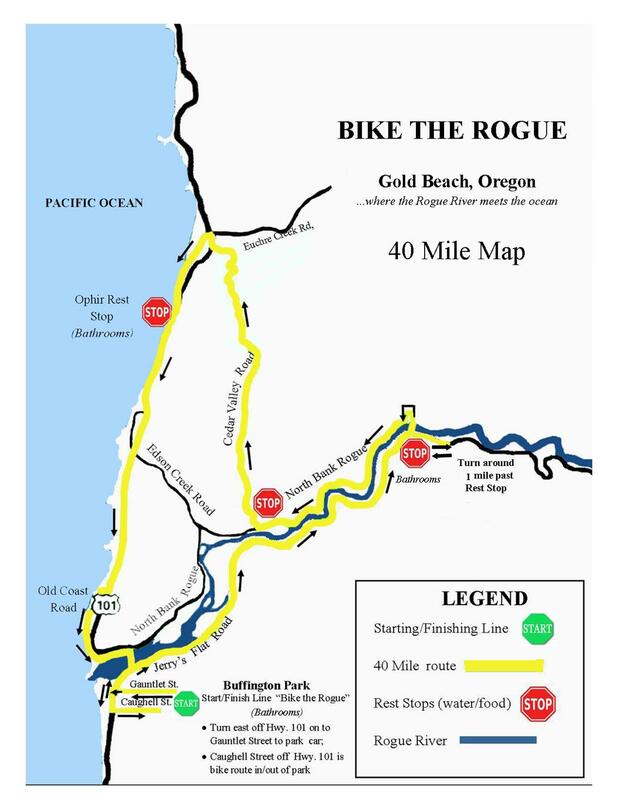 The ride starts at Buffington Park (3 blocks east of Highway 101 on Gauntlet St.) in Gold Beach, Oregon. A big thank you to our sponsors who have helped make this event possible. This is a SAFETY FIRST event and Helmets Are Required. Gold Beach Rotary is an equal opportunity recreation provider operating under special use permit within the Rogue River-Siskiyou National Forest.